Today, we observe the UN World Day of Social Justice! There is a need to consolidate further the efforts of the international community in poverty eradication and in promoting full employment and decent work, gender equality and access to social well-being and justice for all. In CSDS, Human Rights, Human Security, and Justice is one of our working themes. Our most recent project in this theme is Flooding disaster, people’s displacement and state response in Hat Yai, where we examine through a human rights lens whether the 'Hat Yai model' offers new insights and strategies. Last year, on 29 November 2018, we also hosted a workshop to discuss about disaster and displacement in Asia Pacific. The discussion is part of a ten-country study on a range of types of disaster and displacement scenarios understood through a human rights perspective. The overall study examines how state actors fulfill their obligations to prevent displacement, conduct evacuation, protect people during displacement, and facilitate durable solutions in the aftermath. The insights from the workshop can be read in our report: Disaster and Displacement - A Human Rights Perspective. 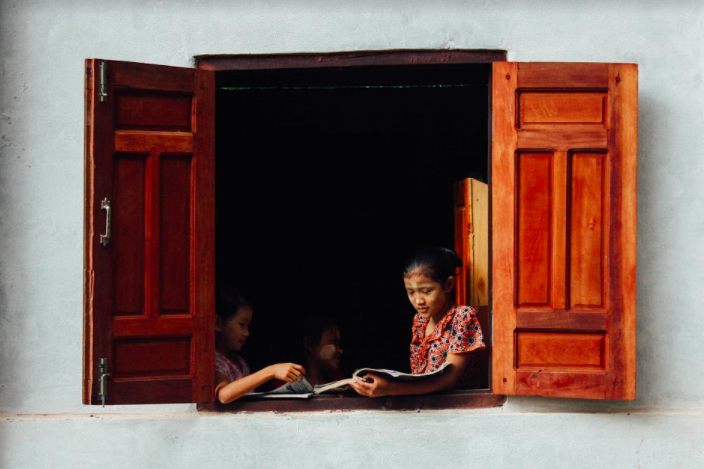 The Public Regime for Migrant Child Education in Thailand: Alternative Depictions of Policy, which analyzes the conceptualization and depiction of Thailand’s public policy on education for the children of migrant workers in the country. For more information about the World Day of Social Justice and additional downloadable resources, please visit the official United Nations website. Adopted by participants of the first International Meeting of People Affected by Dams, March 1997 in Curitiba, Brazil, the International Day of Action for Rivers is a time for community members, civil society and organizations like us to celebrate the value of healthy rivers, and educate and spread awareness about the conservation of our watersheds and the importance of equitable and sustainable management of rivers and waterways. Today we recognize the 21st annual Day of Action, an event that directly connects with much of work we do here at the Center for Social Development Studies. As one can probably tell from following our work and posts, we are quite passionate about the work and research we do on the region's rivers, particularly the Salween and Mekong Rivers, as well as the communities that depend on them for life and livelihoods and the unique but heavily threatened ecosystems that are located along these basins. Most recently the Center and its partners held a special workshop in Yangon, Myanmar on the present state and future of the Salween (Thanlwin) River, bringing together over 60 participants to debate and present research and findings about a great diversity of topics related to this important waterway, with the hope that policy and actions would eventually make their way up to official decision-makers with the goal of creating greater ownership for the river, leading to better planning and conservation of both the natural ecologies and human settlements. In 2017 CSDS helped support a special project called "Salween Stories," with the aim to use locally produced multimedia to tell the stories of the unique individuals and communities that live along the river. From Yunnan, China to the border regions of Thailand/Myanmar, this unique method of storytelling takes visitors to remote and often mystical locations around Southeast Asia to explore the lifestyles, myths and issues all stemming from one of the world's most important and threatened rivers. Visit their website to be transported to Hpa-an, Mae Sam Laep, Mong Pan and Nujiang. Spring 2018 marks the end of one of CSDS's most prominent, practical and most riparian-focused programs, the Salween Water Governance Fellowship, which brought together dozens of researchers based in Thailand and Myanmar, focused on strengthening networks between university researchers and civil society groups, and contributing to the empowerment of local communities. Last year's Greater Mekong WLE Forum saw the culmination of these projects with presentation from all research fellows which marks a major milestone in both the Center's vision and the achievements of the individuals and the work they represent. The policy briefs based on the research undertaken for this project can be found and downloaded here. The Center for Social Development Studies also welcomes you to visit our Publications sector to explore a great deal more research and information centered around rivers and the people who live on or around them. As our Center is a strong believer and advocate for human rights, women's rights, and the ongoing struggle to achieve them in full, certainly falls under this overarching theme, and much of our past and current work focuses on gender and its connection to development in the region. The subject of gender, often combined to create a nexus of justice, development or equality, were touched upon in a variety of our publications, most notably from our Salween Fellowship researchers. From various blogs, to policy briefs on the topics of "Gender and Hydropower: Women’s Rights in the Development Discourse" or "Large Hydropower Projects in Ethnic Areas in Myanmar: Placing Community Participation and Gender Central to Decision-Making," the Center for Social Development Studies continues to put gender and the importance of having women at the forefront of development and decision-making processes as a main priority of our research and projects. For more information about International Women's Day 2018 and additional downloadable resources, please visit the official United Nations website. Video message by H.E. Mr. António Guterres, United Nations Secretary-General, on the occasion of International Women's day 2018. These words help us set the context to mark the World Day of Social Justice 2018, a day to bring awareness to the fight for seeking social justice for the development and human dignity of all those around the world. This year, a special theme has been set: Workers on the Move: the Quest for Social Justice. Considering the increasing numbers of those on the move, whether they be migrants, refugees or the many who sit in the grey area in between, one cannot deny that this issue is one that has much importance, both currently and for the foreseeable future. In 2007, the General Assembly proclaimed 20 February as the World Day of Social Justice, inviting Member States to devote the day to promoting national activities in accordance with the objectives and goals of the World Summit for Social Development and the twenty‐fourth session of the General Assembly. 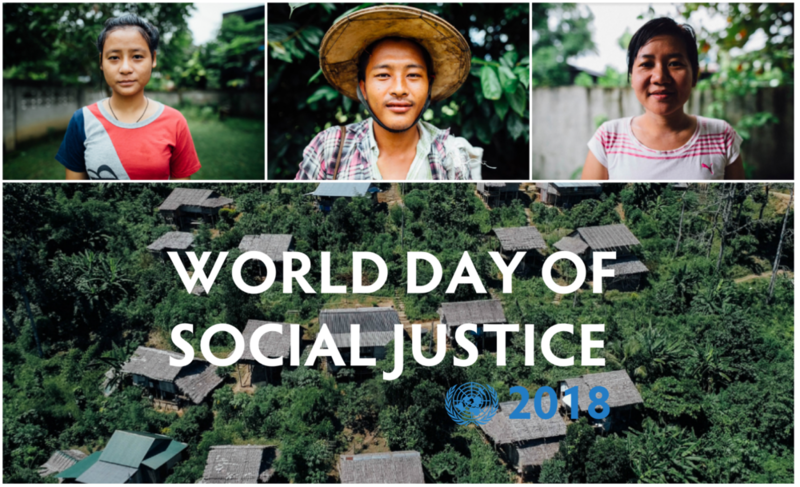 Observance of World Day of Social Justice should support efforts of the international community in poverty eradication, the promotion of full employment and decent work, gender equity and access to social well‐being and justice for all. Here at the CSDS, one of our main themes of work centers around "Human Rights, Human Security & Justice," an area which we believe is relevant in every part of daily life, and a subject that must be kept in the foreground of any development discussion or project. A major project that was recently completed titled "Transboundary Rivers: Arenas of Justice" focused on using a specific rights-based approach to the food-water-energy nexus that exists within and around the region's major waterways, allowing for difficult yet important discussions around these topics to be had. 2017 was a very busy year for the Center of Social Development Studies at Chulalongkorn University, so we've compiled an easy-to-read and compact list of all our top content, projects and events to give you a full year in review! Download the document here to see all the great things we worked on and learn about what are planning on for an even busier and exciting 2018! Today we mark the celebration and awareness of World Wetlands Day, established by the 1971 signing of the Convention of Wetlands (also known as the Ramsar Convention). This day not only marks the signing of the convention 46 years ago in Iran, but also serves to bring a spotlight to the importance of not only wetlands themselves, but the conservation efforts that must be continued in order to maintain these special ecosystems which often protect our cities and the millions of people and wildlife that depend on them. Here at the Center for Social Development Studies, we have invested considerable time and resources in the study and advancement of wetlands research and conservation projects, and strongly believe that the future of healthy wetlands and their benefits to society requires the cooperation of knowledge sharing and work between civil society and the government. Wetlands, particularly those located in Thailand and around Southeast Asia contain a great deal of biodiversity, some not found anywhere else on earth, but due to the increase of recent development projects, these special ecosystems are at great risk of disappearing altogether if more focus and work is not done to protect them. In 2014 CSDS kicked off the RECOVER project, aimed at undertaking “knowledge co-production” research in Thailand, Vietnam and Laos, in order to contribute towards the recovery and more inclusive ecological governance of wetlands degraded by large water infrastructure and associated agro-ecological systems and livelihoods. We consider “knowledge co-production” to be the dynamic interaction of multiple actors, each with their own types of knowledge, that co-produces new usable knowledge specific to the social, cultural, and political context and that can influence decision-making and actions on-the-ground. For more about the RECOVER project, please visit the page here or read more about our field research case study. Download our related policy brief (pictured right) on recovery of wetlands, agroecological farming and livelihoods in Southeast Asia here. For more information about World Wetlands Day and additional downloadable resources, please visit the official website.